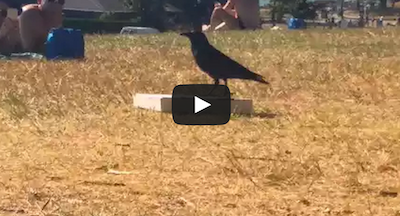 Crow Vs. Pizza Box - What Is This Bird Trying To Do? This apparently includes the birds of the sky as well! Check out this crow as he has a battle with this pizza box. Does he get it? WATCH!